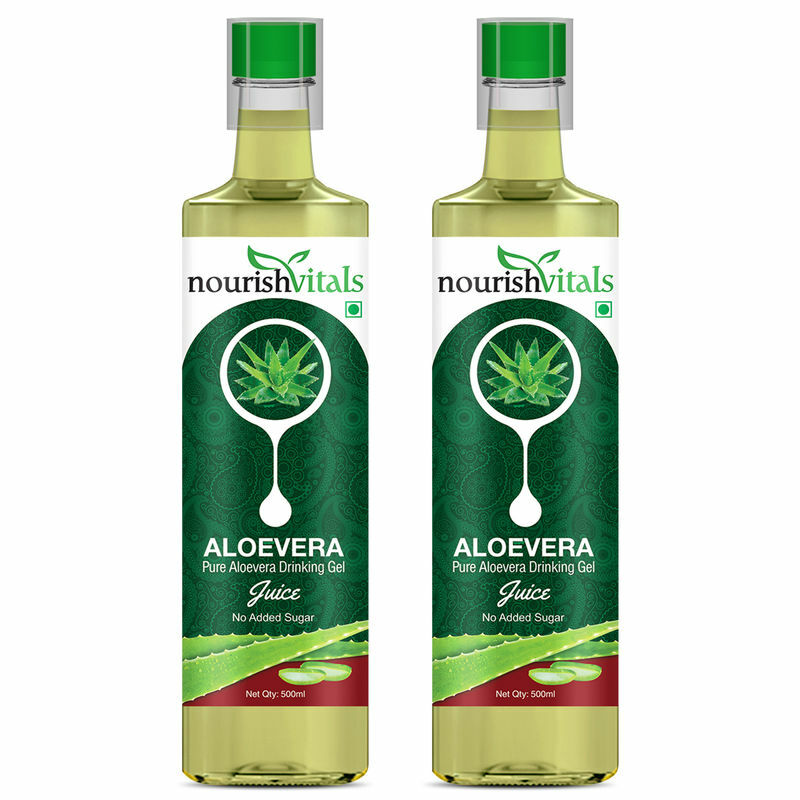 Nourishvitals Aloe Vera Drinking Gel (Juice) is pure Aloe Vera Gel derived from fresh Aloe Vera leaves. It normalizes the functions of entire body by flushing out toxins and nourishing all body organs. Its strong antibacterial, anti-inflammatory, antioxidant and anti ageing properties make it a safe and effective daily health tonic. 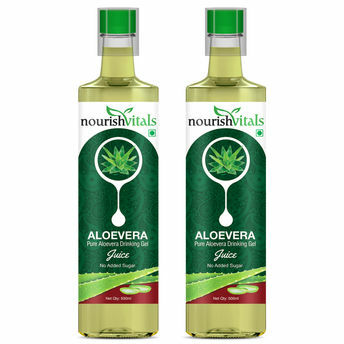 Prepared from best natural grown Aloe Vera. Good for overall health and wellness. NourishVitals is known for offering natural, healthy food products which are distinguished by their quality, packing and low pricing. Additional Information: Nourish Vitals is a popular healthcare brand, known for offering organic, healthy food product. Their premium range of high quality products are 100% natural and free of preservatives, thus working well for overall health and fitness.